Until now fans of Maynard James Keenan - or MJK as he is often called - have had access to only an abridged version of his story. 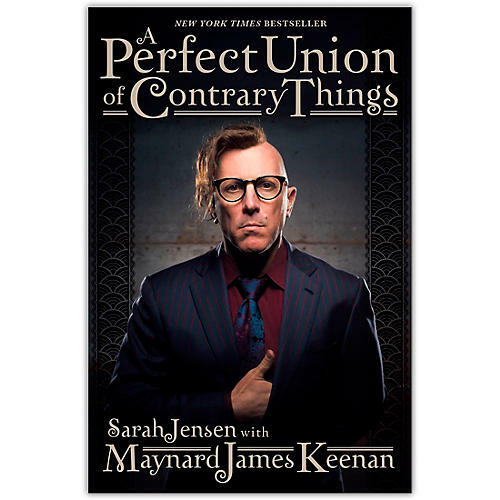 In A Perfect Union of Contrary Things Keenan partners with his friend of 30 years Sarah Jensen to present a full account of his life and career. From his Midwest childhood to his years in the army to his time in art school - and from his stint at a Boston pet shop to his place in the international spotlight and his influence on contemporary music and regional winemaking - the book chronicles the events that led MJK to take one step after the next to change direction to explore sometimes surprising opportunities. Included are sidebars in his own words often humorous anecdotes that illuminate the narrative as well as commentary by his family members friends instructors and industry colleagues. It also features a foreword by Alex Grey an American visionary artist and longtime friend of Keenan along with a bounty photos of Keenan from childhood to the present. A comprehensive portrayal of a versatile and dedicated artist A Perfect Union of Contrary Things pays homage to the people and places that shaped the man and his art. A New York Times Bestseller in hardcover it is presented here for the first time in paperback.